In the wake of the Boston Marathon bombing investigation, there has been some mainstream news media attention paid to facial recognition software. After years of NCIS and other popular law enforcement TV dramas, there is an expectation that such technology could have led to a speedier conclusion to the manhunt, or perhaps even have prevented the savage attack. In recent weeks, looking for meaningful answers, major news organizations turned to researchers at Carnegie Mellon University CyLab. Why? Because they are at the forefront of research into related technologies; and that's the forefront of not only research on how to deliver these technologies, but also the forefront on their broader implications on society as a whole. 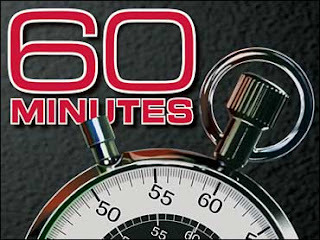 On the May 19th edition of CBS Sixty Minutes, the work of two Carnegie Mellon University CyLab researchers were featured: Alessandro Acquisti, Associate Professor of Information Technology and Public Policy (Heinz College), author of some blockbuster privacy studies, related to the convergence of facial recognition software and social media and other vital issues, and Marios Savvides, Carnegie Mellon University Associate Professor (Electrical and Computer Engineering Department) and Director of the CyLab Biometrics Center. This may look like a high school science project, but this is Carnegie Mellon's CyLab, a world-class research center. Marios Savvides and his students outfitted this ordinary toy drone with their new advanced facial recognition software... that locks in on a face from a distance, and then identifies it. [Drone: Hello Lesley, nice to see you. The students are taking surveillance technology to the next level. They can now turn a blurry face into a clear one; a flat image into a 3D model. Their technology can take a masked face and by focusing only on the eyebrows search a catalog of faces, come up with several people with very similar eyebrows and eventually find the identity of the person. Marios Savvides: So Utzav is going to take a normal photo of you. The software maps a face using dots like electronic measles and creates something as unique as a fingerprint: a faceprint. Lesley Stahl: This is your facial recognition technology working right now to find me? Utzav: Yes. For this demonstration, they had added my picture ahead of time to the university's database. Marios Savvides: That's the top match. Alessandro Acquisti: The ability of remaining anonymous is shrinking. And the places where we can be anonymous are getting fewer and fewer. Alessandro Acquisti is a professor at Carnegie Mellon who does research on how technology impacts privacy. He says that smart phones may make "facial searches" as common as Google searches and he did an experiment to show how easy it could be. He took photos of random students on his campus. He then ran the pictures through a facial recognition program he downloaded for free that sifted through Facebook profiles and other websites. And he was able not only to identify many of them instantly, he also got their personal data, including in some cases, their social security numbers. Lesley Stahl: In order for this to work, does the person you're trying to identify have to be on one of these social networks? Alessandro Acquisti: You must have, somewhere on the Internet, a face with your name on it. Lesley Stahl: Well, let's say someone doesn't have a Facebook account, but his or her daughter or son does, and they've got your picture. So are they now automatically in the mix? Lesley Stahl: Well, let's say someone doesn't have a Facebook account, but his or her daughter or son does, and they've got your picture. So are they now automatically in the mix? Alessandro Acquisti: It's funny because one of the participants, before doing the experiment, told us, "You're not going to find me because I'm very careful about my photos online." And we found him. Because someone else had uploaded a photo of him. Alessandro Acquisti: Often we are not even aware of how much data we are actually revealing or it is being gathered about us or, in fact, how it would be used. The idea that you can start from a face and predict social security numbers from that face seemed quite alien and surprising. But now we know that it can be done. 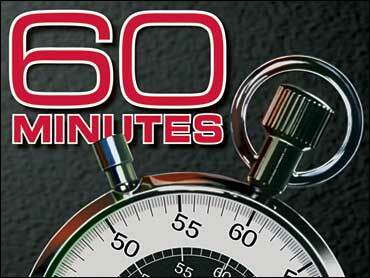 Lesley Stahl: So there's no place to hide, absolutely no place to hide. Alessandro Acquisti: It's those places are shrinking.